In its opinion sent to President Ram Nath Kovind, the Election Commission said by being parliamentary secretaries, the legislators held the office of profit and were liable to be disqualified. 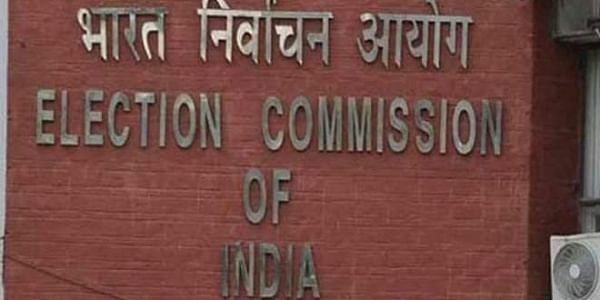 NEW DELHI: In a blow to Delhi's ruling Aam Admi Party, the Election Commission today recommended to the President the disqualification of 20 of its MLAs for holding the office of profit, setting the stage for their ouster from the Assembly. In its opinion sent to President Ram Nath Kovind this morning, the Election Commission said the MLAs, by occupying the post of parliamentary secretaries between March 13, 2015, and September 8, 2016, held the office of profit, and were liable to be disqualified as legislators, highly-placed sources said. The President is bound to go by the recommendation of the Commission. Under the rules, petitions to the President seeking disqualification of lawmakers are referred to the EC. The poll panel takes a decision and sends its recommendation to the Rashtrapati Bhavan which is accepted. In the present case, the petition was made to disqualify 21 MLAs, but one resigned a few months back. "The EC should not be the letterbox of the PMO. But that is the reality today," AAP leader Ashutosh tweeted. The Congress, which ruled the state for a long time, welcomed the EC decision, with its Delhi unit chief Ajay Maken saying Chief Minister Arvind Kejriwal has lost the right to be in power after the EC decision. Regretting that the Election Commission allowed "undue" adjournments to AAP MLAs that cost the people of Delhi dearly, the BJP's Delhi chief Manoj Tiwari said the party stands prepared for elections "any moment". "We welcome the EC decision disqualifying 20 AAP MLAs. Arvind Kejriwal should take responsibility for moral defeat and resign," he said. When contacted, Chief Election Commissioner A K Joti said since the matter is sub-judice, he would not offer any comment on the issue.